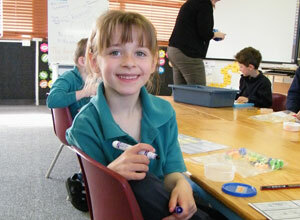 Our classrooms are vibrant learning spaces, filled with happy children and engaging teachers. 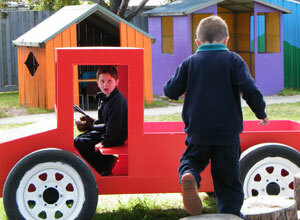 Toongabbie Primary School is in a rural community and is situated on a 1.6 hectare block. 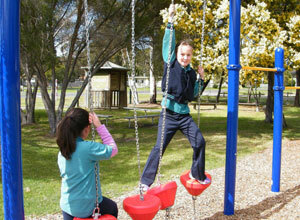 Our spacious grounds provide a picturesque and safe play area for our students. Classrooms are vibrant learning spaces, filled with happy children and engaging teachers. 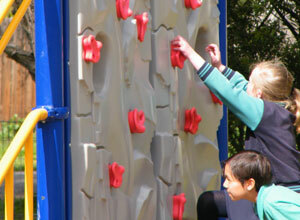 Our buildings ensure that we have great accommodation and room to move, grow and learn. The Commonwealth Government funded BER building is state of the art and has a hall attached.We also have a Food Technology Centre, a Library and dedicated classroom spaces that are set up for teaching music and art. Our Foundation room is a dedicated teaching space with a calm environment. The French doors in this room lead onto a deck and into our vegie courtyard and promote teaching and learning taking place both in and outside. The school may enrol a child if they turn five before the end of April. An admission form must be filled in to have a child enrolled. A copy of the child's Birth Certificate and an immunisation form must be presented to the school upon enrolment. Important details are on this admission form such as emergency contacts in case of illness/injury. At Toongabbie Primary School all students are expected to wear the school uniform. All school uniform items are available at Beleza School Uniforms, 6B Seymour Street, Traralgon. Most parts of the school uniform are also available at stores such as Target, Big W, Kmart etc. Click here for a list of School Uniform Items. Please supply an art smock to protect school uniform during art classes. We encourage the consumption of healthy foods at school, and ask that parents send their children to school with minimal packaging in their lunches. This assists with controlling the amount of rubbish and waste that the school produces. Children should not be sent to school with confectionary or fizzy drinks. 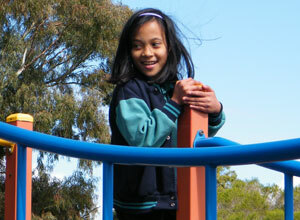 Toongabbie Primary School has an arrangement with the Rail Trail General Store in Toongabbie. Lunch orders are available on Wednesdays and Fridays and can be ordered in the shop prior to those days. Parents can select lunch order items from the school’s healthy food menu options. 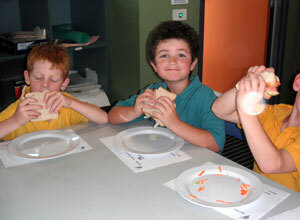 The Parents and Friends group offer a special Tuck Shop day for students usually once a term. There is a lot of effort put into the choice and preparation of food for the lunches, ensuring that the children receive a nutritious and tasty lunch. Orders are taken for tuck shop in the days preceding and all proceeds are part of the Parents and Friends fundraising efforts. Go top our Transition page for information about how to best prepare your child for starting school.